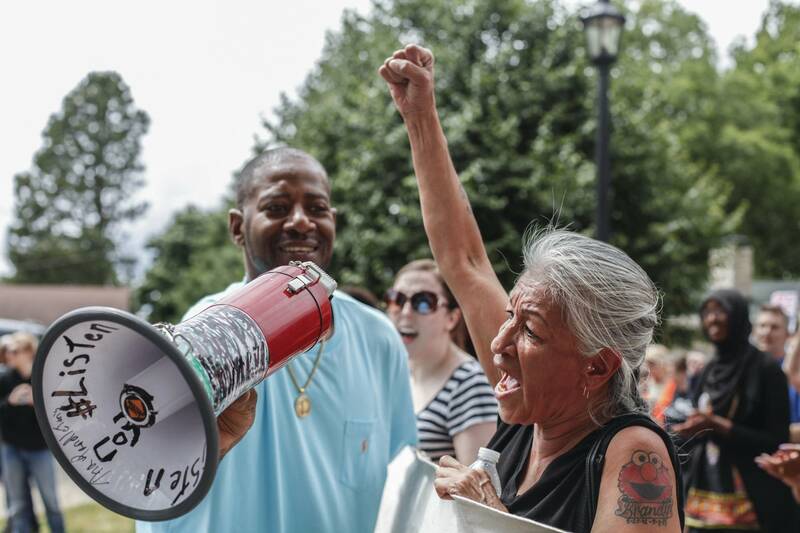 Updated: 9:10 p.m. | Posted: 1:09 p.m.
On Father's Day, demonstrators marched through parts of the city of St. Anthony to remember Philando Castile, and protest the acquittal of the officer who shot and killed him last July. 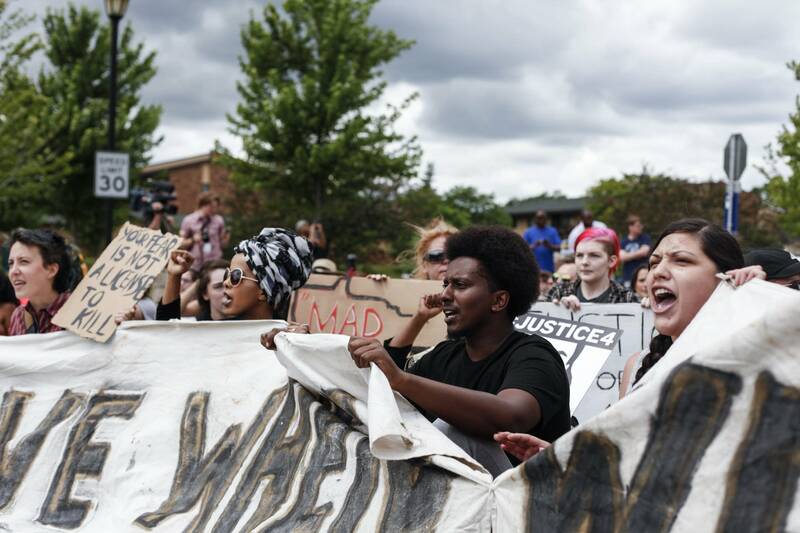 It marked the third day of protests in the Twin Cities. 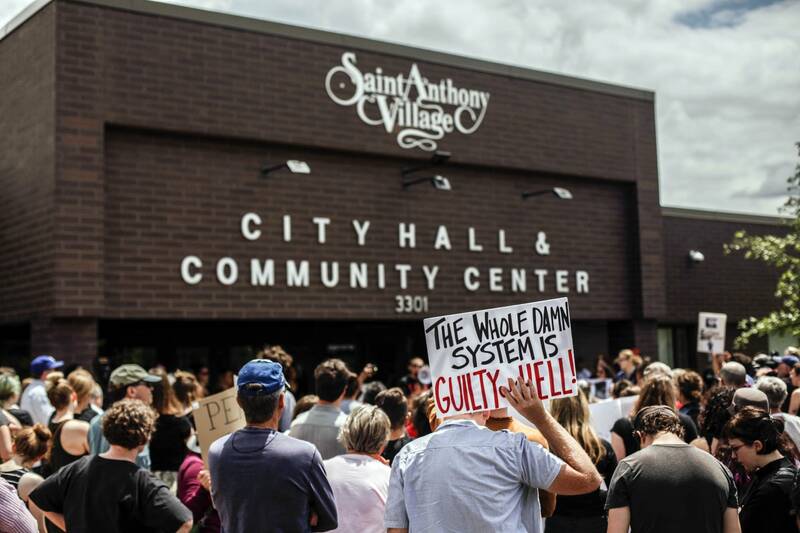 On Friday, a Ramsey County jury found St. Anthony officer Jeronimo Yanez not guilty on manslaughter and firearms charges for the shooting death of Castile during a traffic stop. Marchers held signs that read, "Justice for Philando" and "We leave when we get justice." As the crowd grew larger in front of the St Anthony Village City Hall, Corydon Nilsson picked up a bullhorn. "I'm angry," he said. "I'm hurt for his entire family, I'm hurt for the state of Minnesota. I'm hurt for all of my black brothers and sisters, because Minnesota just rubber-stamped the killing of black bodies, and that's just wrong. It makes me sick." 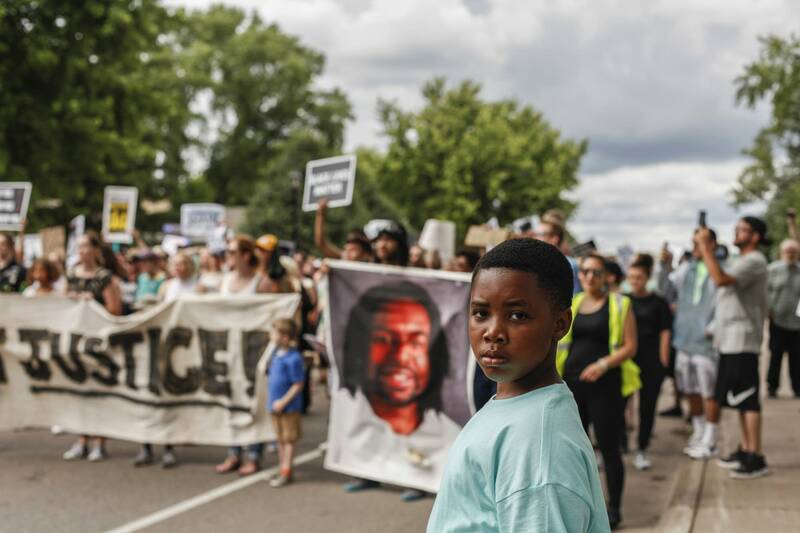 Nilsson is part of an organization called New North, a St Paul group that aims to help victims and families of police violence, including Castile's girlfriend, Diamond Reynolds and her daughter Dae'Anna. 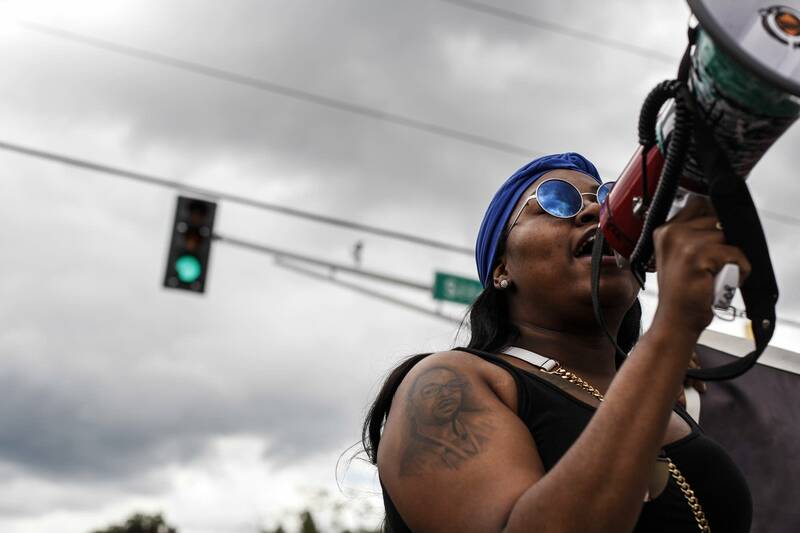 "Even though Philando wasn't Dae'Anna's father, he was the step-father figure in her life, and he should be here today, to celebrate with her, and he's not," said Nilsson. "And at minimum, Diamond should have gotten some sort of justice so she could have this day be peaceful instead of filled with anguish." Nilsson said Castile was also a father-figure to the students at J.J. Hill Montessori School, where he worked as a cafeteria supervisor. "I saw that a kid left a note on the school that said Philando has rainbows in his heart. I've talked to hundreds of kids there, who just, they loved that man. They loved Mr. Phil. And it's just, this is so tragic." John Thompson was a close friend of Castile. He was at the courthouse Friday and two days later, he's grown more angry about the verdict. "Shame on you jurors, each and every one of you failed African-American men and told the police departments around the world: 'It's OK to shoot black men.'" After Thompson put the bullhorn down, protesters hugged him as he became overwhelmed with emotions. "I'm so sad, I'm so mad," he said. "They keep failing us. They keep failing us. They keep telling us we mean nothing to the world." Later, the protesters marched less than a mile to a nearby shopping center, disrupting traffic, and shutting down streets for several hours. 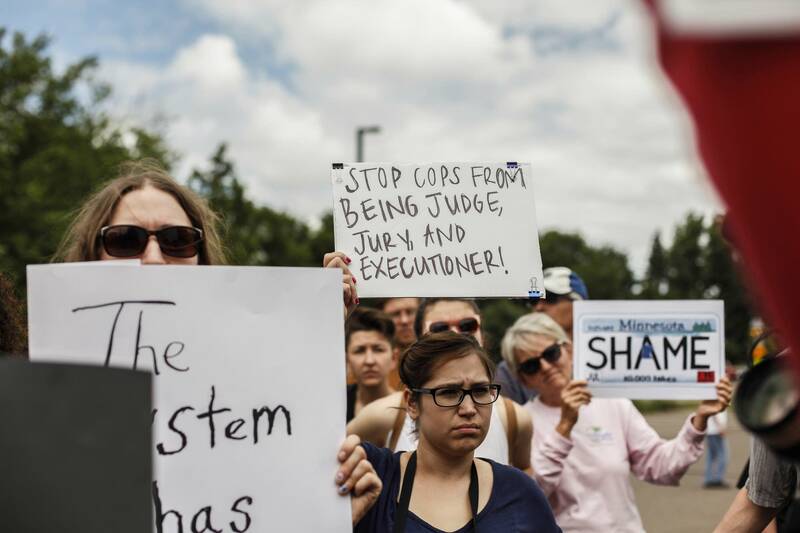 It was clear emotions were running high in the city where Yanez had worked as an officer. Some neighbors were seen crying in their front yards. Some motorists were annoyed by the protests. One driver confronted protesters and had to eventually turn his car around. Another person stopped to ask who Castile was, and why they were protesting. Abdi Iman of Eden Prairie carried a protest sign that read "Justice for Philando." And he wore large white wings made of real feathers on his back, as if to symbolize an angel of peace. "These types of moments make us come together like this, the way that we are right now, and brings awareness, and forever marks the incident in people's hearts and minds, and hopefully changes the police in how they are trained," said Iman. Attorney-activist and Minneapolis mayoral candidate Nekima Levy-Pounds was also in the crowd. She had organized Saturday night's protest, too. 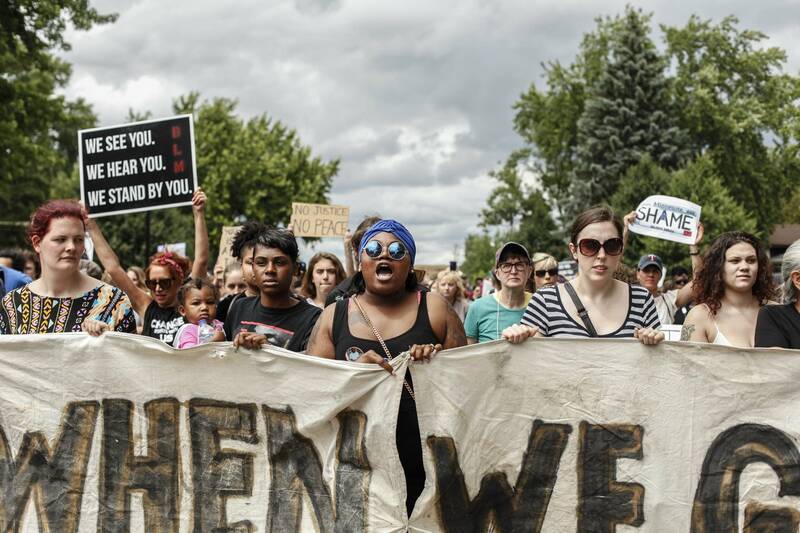 "If Philando Castile, with all the goodness that he brought to the children of the school that he worked at cannot get justice then no black man can get justice in the state of Minnesota." One of the first people who had arrived at Sunday's protest was Laurie Bushbaum, a Unitarian universalist minister from Minneapolis. She stood crying, quietly holding a small sign of a Minnesota license plate that read "Shame." "I'm holding this sign and all I feel is profound sadness, profound shame, that I live in a state where a black man can be murdered for no other reason that he is black, and that we cannot find that officer guilty." 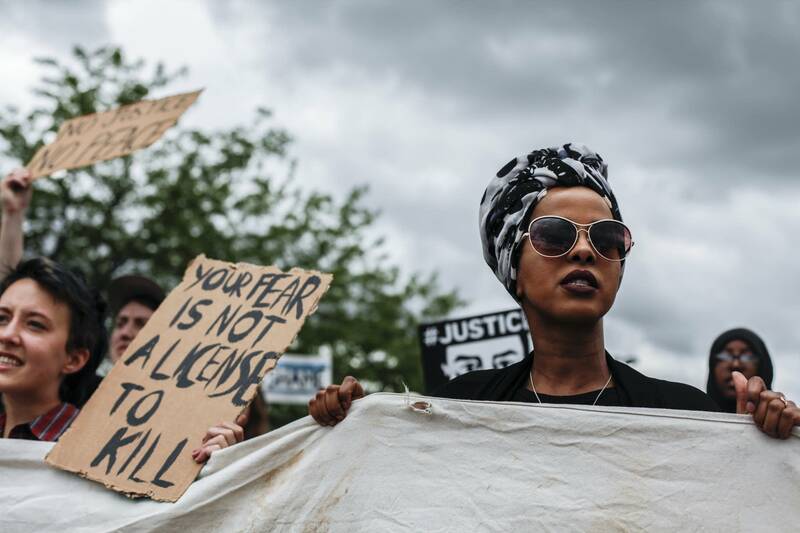 Chicago and New York City also held marches in the name of Castile over the weekend. Correction: (June 19, 2017): An earlier version of this story said Abdi Iman did not carry a protest sign. The story has been updated.